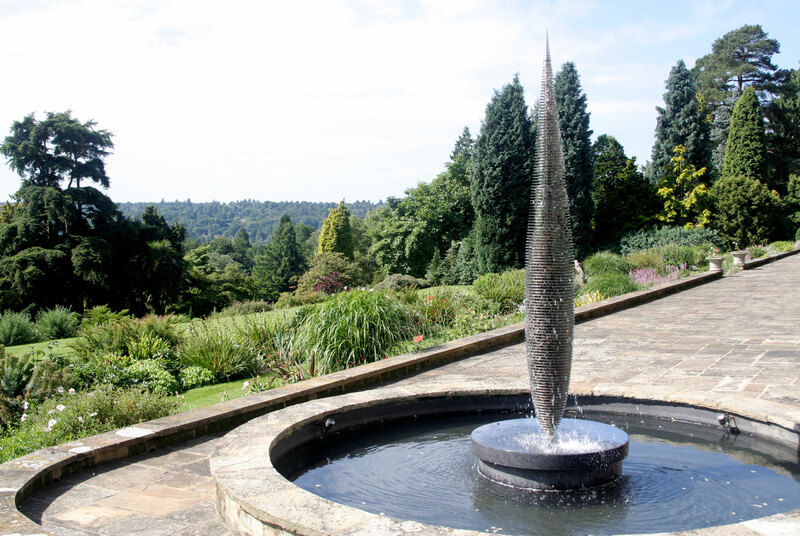 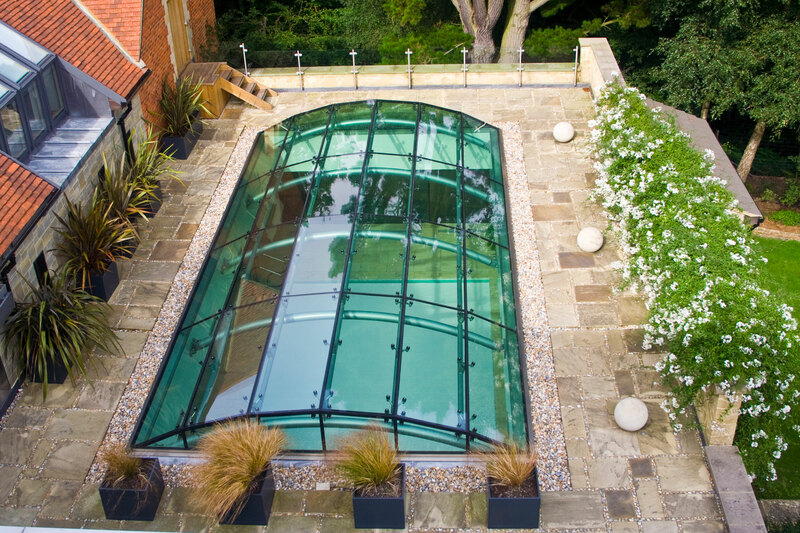 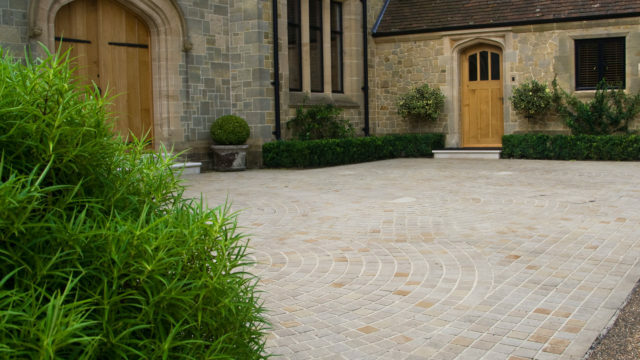 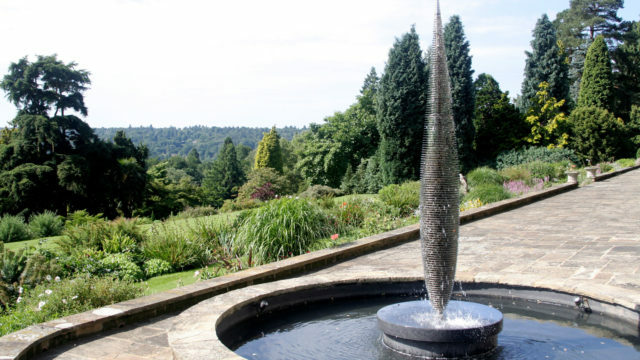 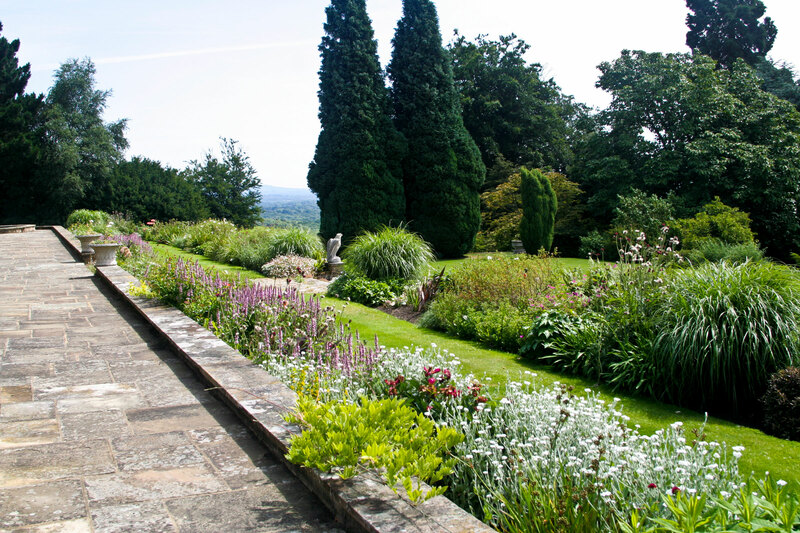 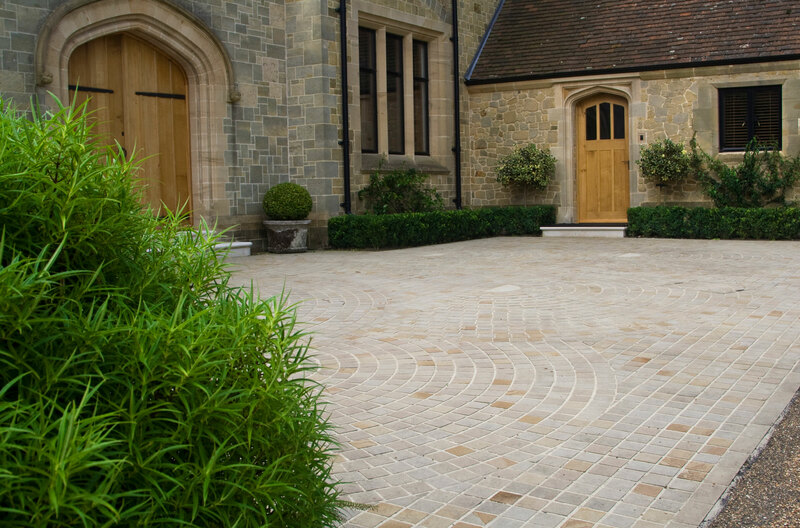 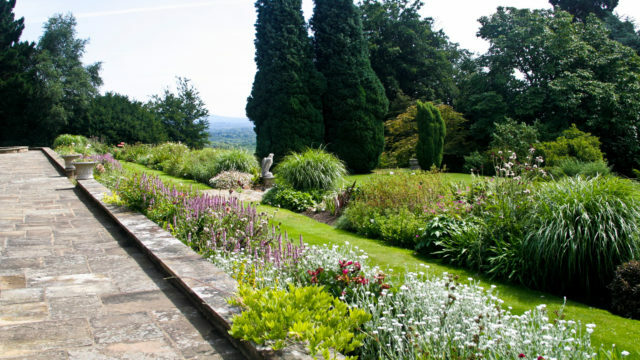 This garden was designed to enhance a newly renovated Arts & Crafts House just outside Haslemere in Surrey. 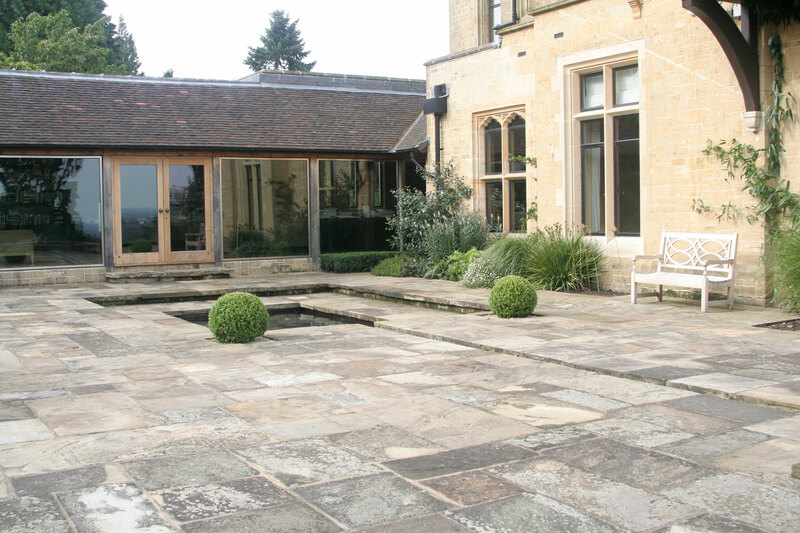 The first stage of the project was to create an intimate space outside a contemporary extension. 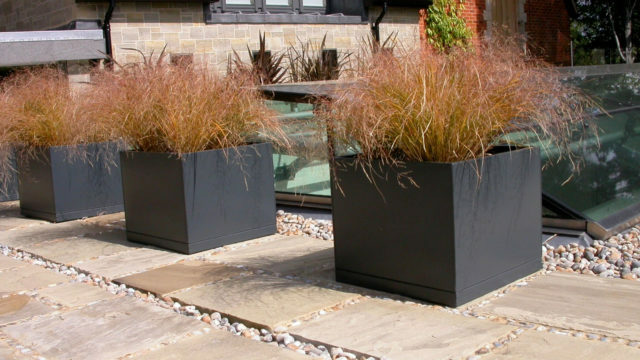 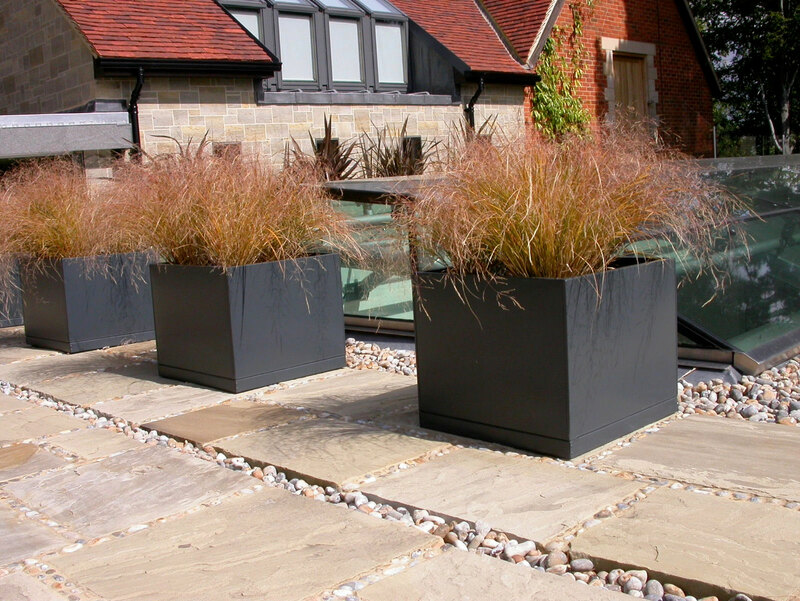 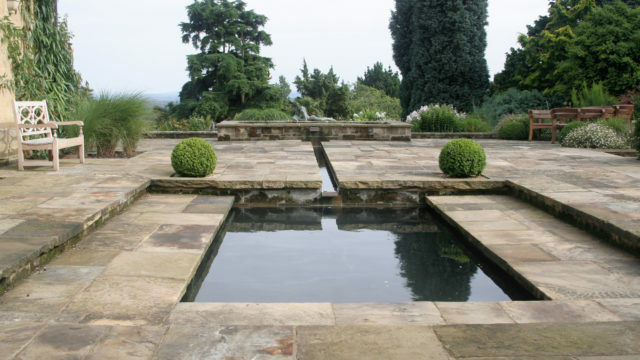 The design is simple and bold with running water, a reflective pool and soft planting. 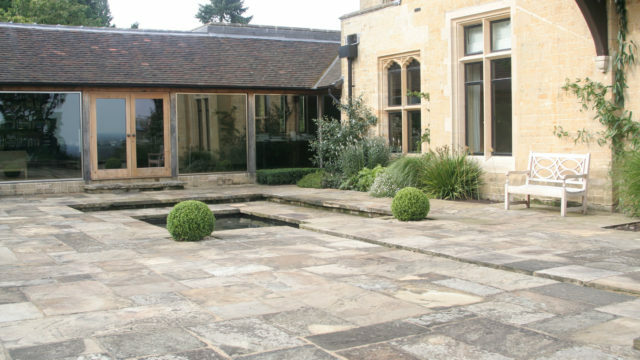 The house interior style is minimalist and the garden is viewed from the oak and glass extension and needed to work sympathetically with both the traditional exterior and more contemporary additions. 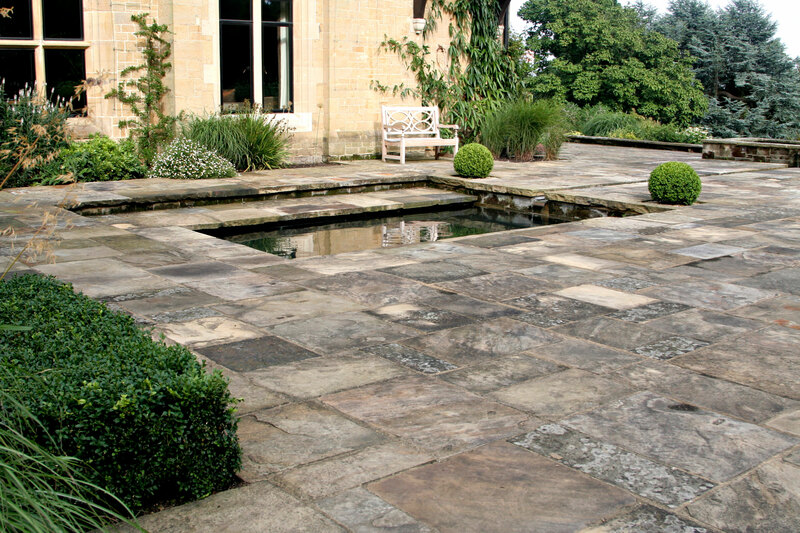 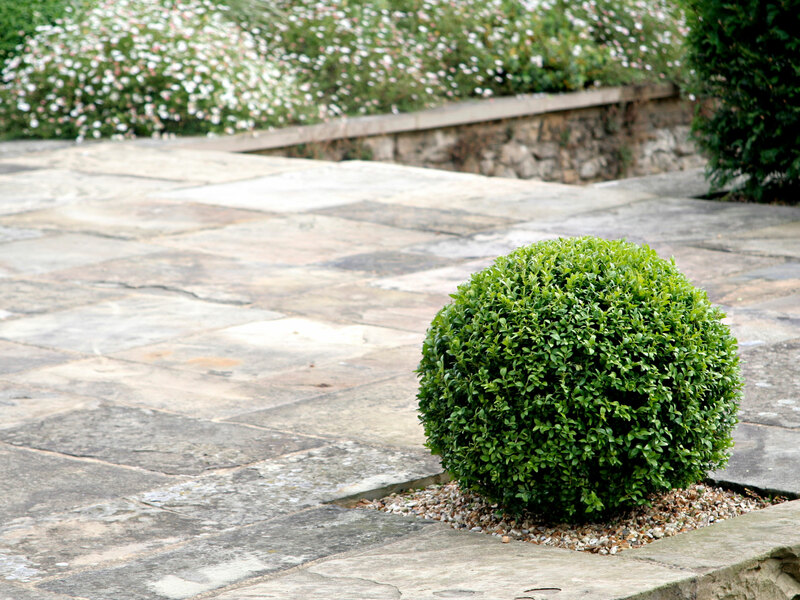 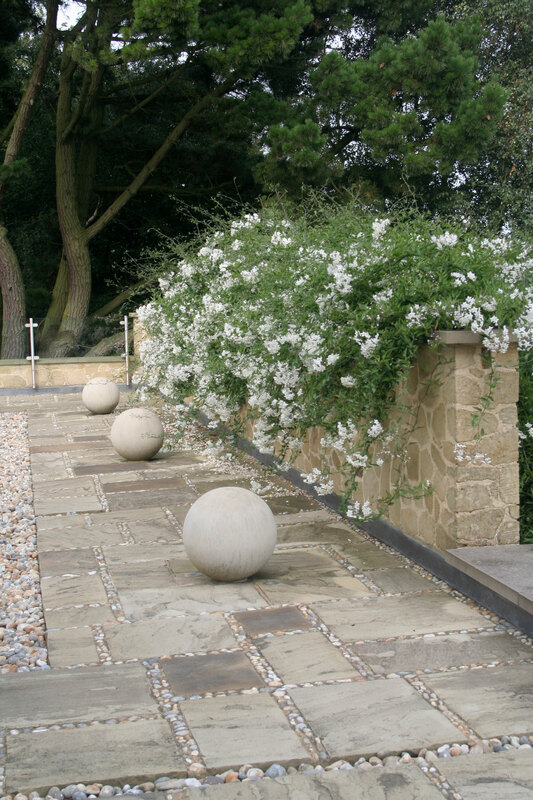 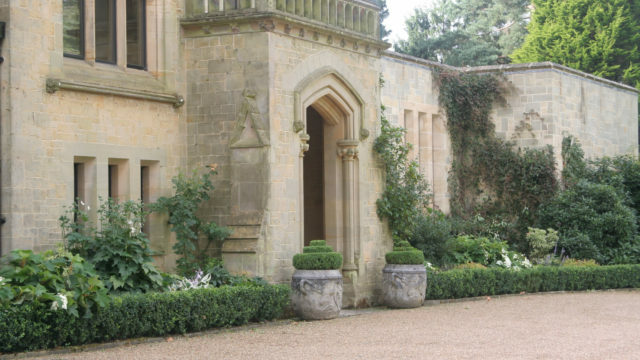 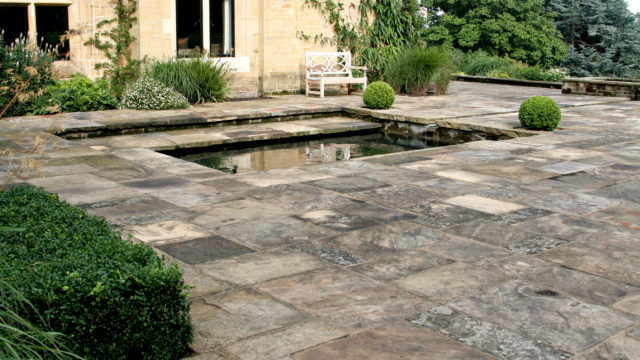 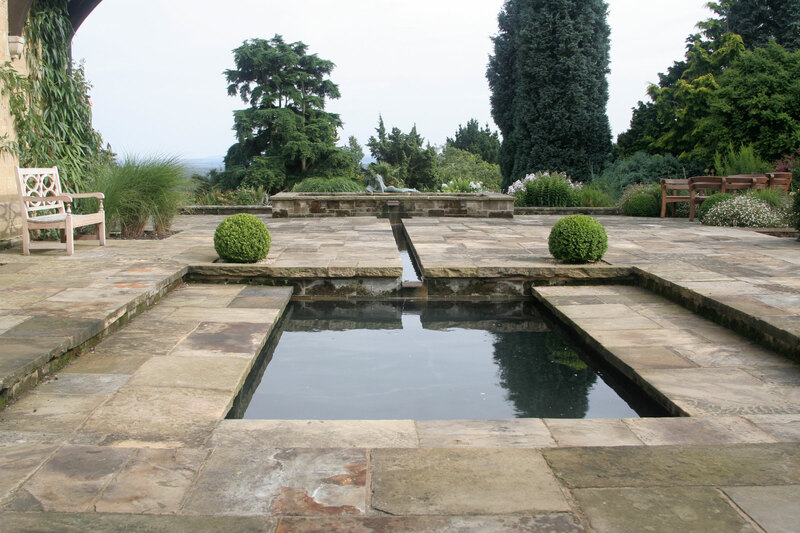 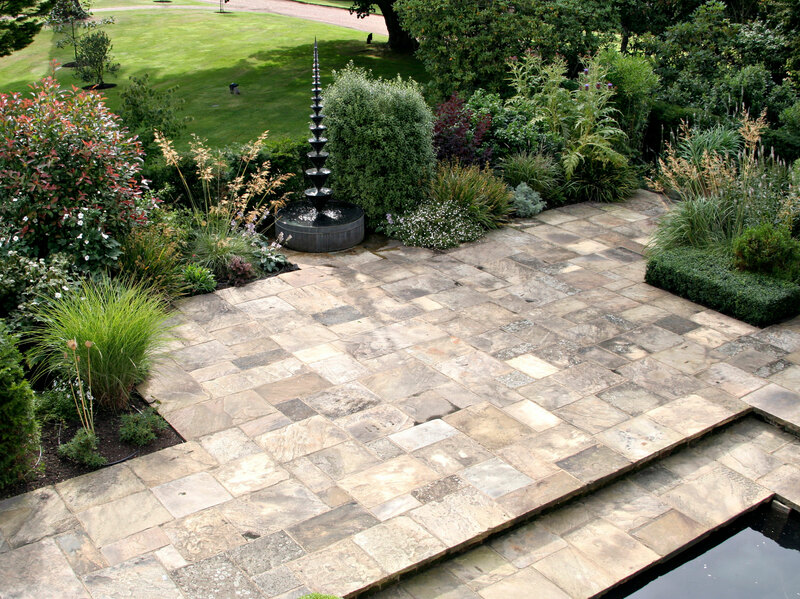 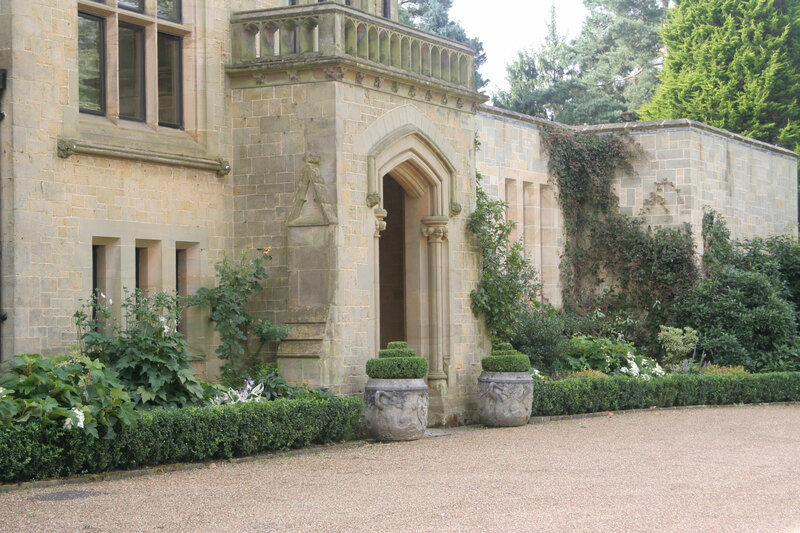 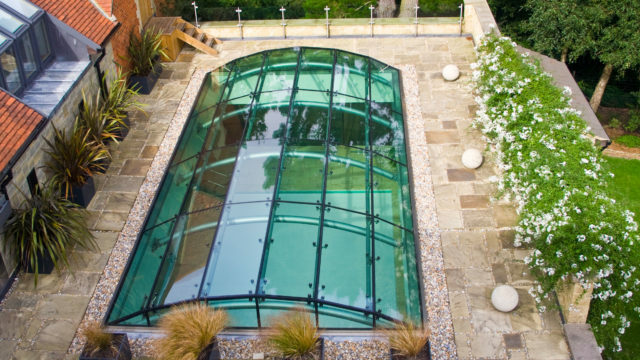 Once this area was designed and landscaped, I was commissioned to design a roof terrace above the swimming pool and gym, to re-design and plant the garden entrance and to design a planting scheme for the long borders along the rear of the house. 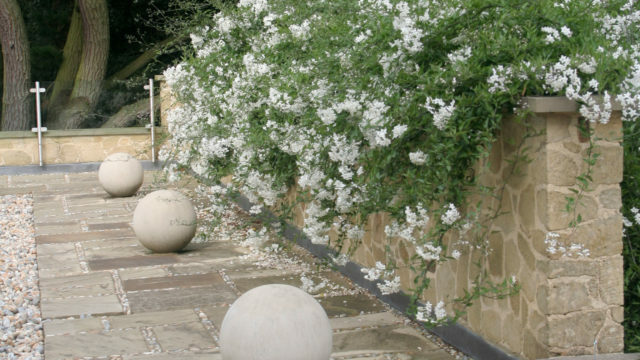 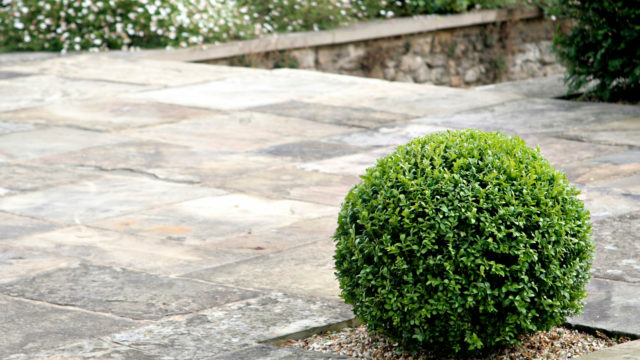 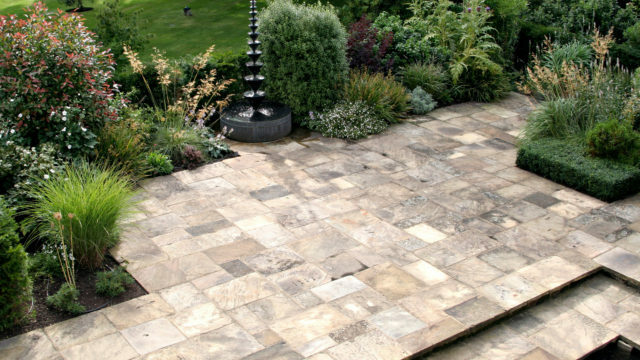 You can see how the process of landscaping this garden unfolded by watching the video below.